Here is an important release for Visio lovers! 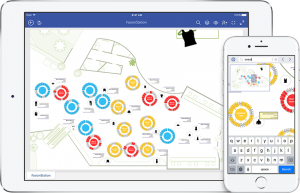 Visio can be viewed in iPad and iPhone now. Now you can do following things in Visio Viewer for iPad and Visio Viewer for iPhone? Enter Visio in the search box, and then tap Search. Select the app, Visio Viewer, published by Microsoft. Tap the download icon. You’ll see a progress icon as the app is installed. Tap the Visio Viewer app on iPad or iPhone to open it. Type the personal Microsoft account or work or school account associated with your Office 365 subscription, and then tap Next. Visio Viewer for iPad and Visio Viewer for iPhone support Visio files in .vsd or .vsdx format. Axure RP 8 Beta is coming soon..